Only the eastern half remains of what may have been a downdraught kiln based upon the style of construction. 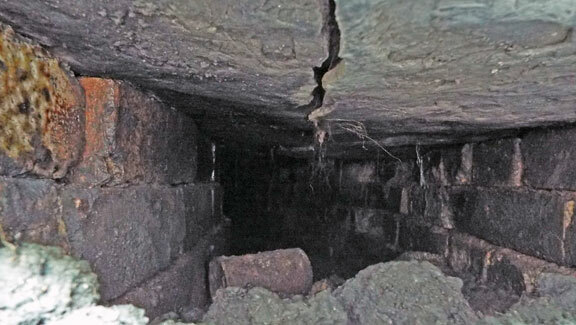 The 2 photographs below show the base of the kiln with fire holes at the side (below) and central flue (2nd below). Some of the fire holes contained coal whilst others contained coke. One fire hole contained well glazed bricks which suggest it may have partially collapsed and went out of use. . Throughout the excavations there were bricks with ‘Blackstone Edge’ imprinted on them, many in extremely good condition - see below. The pottery, made a wide range of items including pipes of various sizes, chimney pots and the items pictured below. These heavy ceramics (refractory items) were most certainly made in a mould as internally they show the finger prints of the workers (possibly children or women) who made them on the sides and the interior strengthening structure. 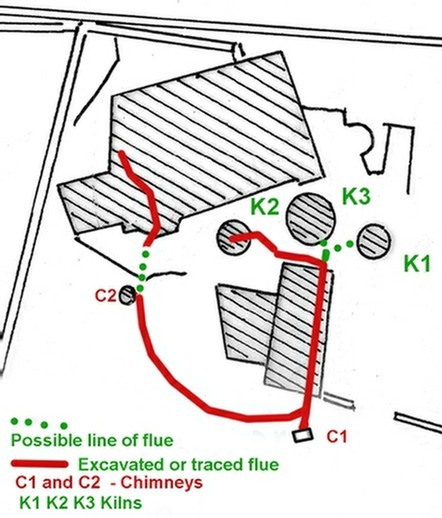 Their use is unclear but it is thought that those shown in the centre photos and sketch were intended for the top of a chimney . 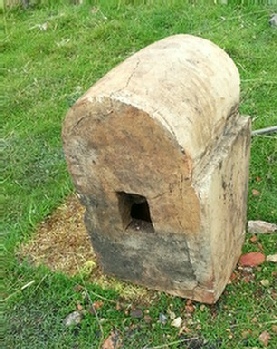 The other may have had a similar use or be part of a fountain base or similar.